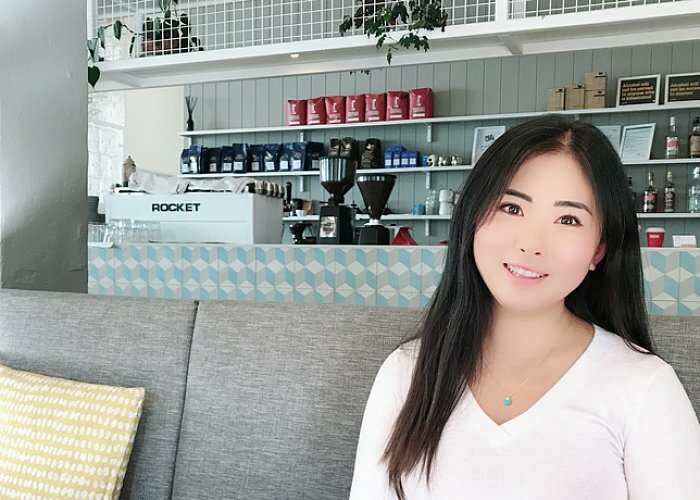 Korean graduate Chloe, has really enjoyed learning and studying at Elite School of Beauty & Spa. The big advantages for her was the school offered options of gaining international qualifications, while also meeting New Zealand students which prepared her for working in the Auckland beauty industry. Working part-time at Acajou Spa in Ponsonby, Auckland gave Chloe the opportunity to continue her studies full-time at Elite. Acajou Spa was established in 1987 and is well known for its range of specialised treatments. Once Chloe finished her study this year, she was offered a full-time position, as a Massage Therapist and now carries out a range of services including massage, facials, electrolysis, waxing, spa treatments, makeup and manicures. Seeing and making women feel beautiful, happy and confident gives Chloe great pride with what she does. She is also very passionate about improving specific skin conditions, and specialises in facial treatments, while increasing her knowledge in natural health and beauty. Her interests have allowed her to build her own clientele. Chloe finds New Zealand to be a beautiful country, and is keen to continue her travels throughout. She is also open to settling in other city centres, as her qualifications will provide her with many work opportunities.